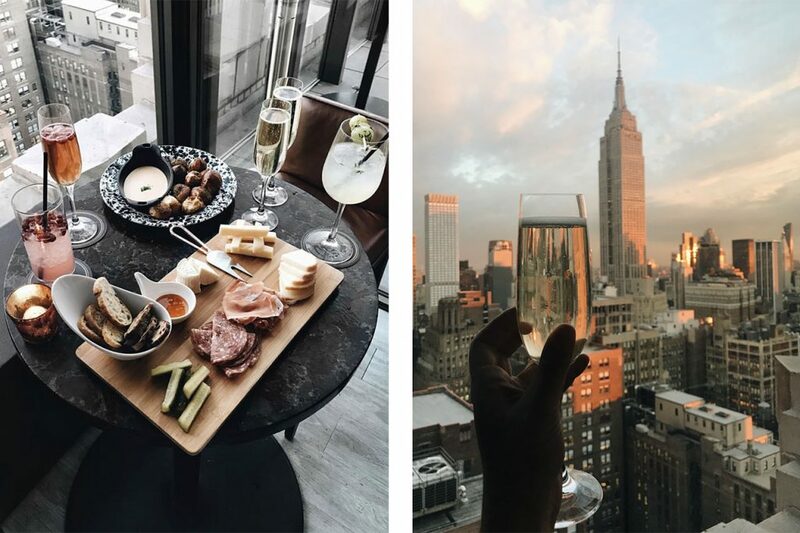 Whether you’re looking for somewhere to spend Valentine’s Day, or just want to make a weekend getaway more romantic, New York has you covered. From cozy, beautiful dinners to picturesque walks, here are five things to do when you visit the Big Apple. 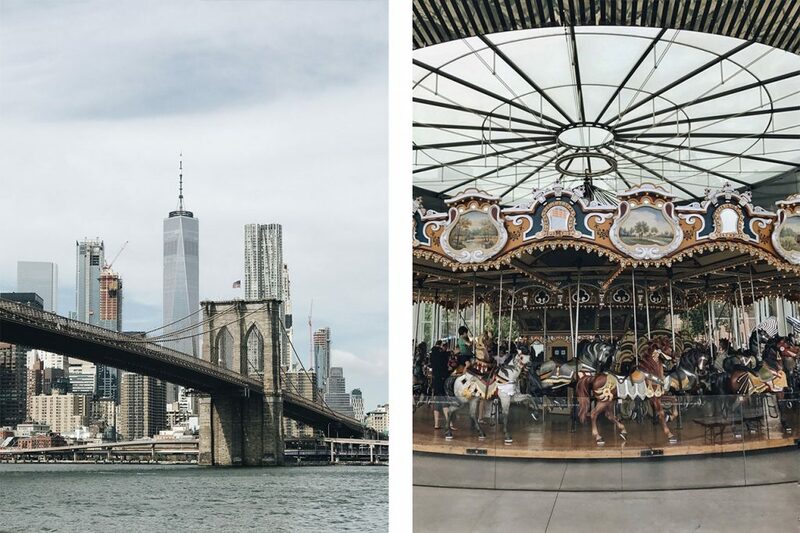 For more ways to explore New York City, click here. We have a neighbourhood guide to Tribeca, find out how to spend 48 hours in New York, and eat your way through SoHo. 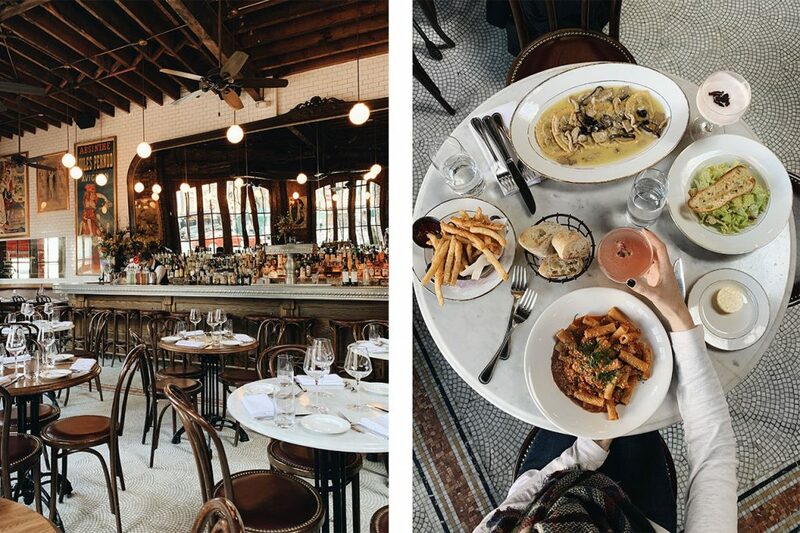 A traditional French brasserie, Boucherie is located in the West Village, which is one of Manhattan’s most charming neighbourhoods. The restaurant is more spacious than what you might expect to find in New York (it was a 320-seat theatre in its past life), but the beautiful lighting and décor lends a cozy ambiance. The menu features plenty of French classics and there’s a list of signature cocktails created with absinthe – perfect if you feel like being adventurous with your sweetheart! 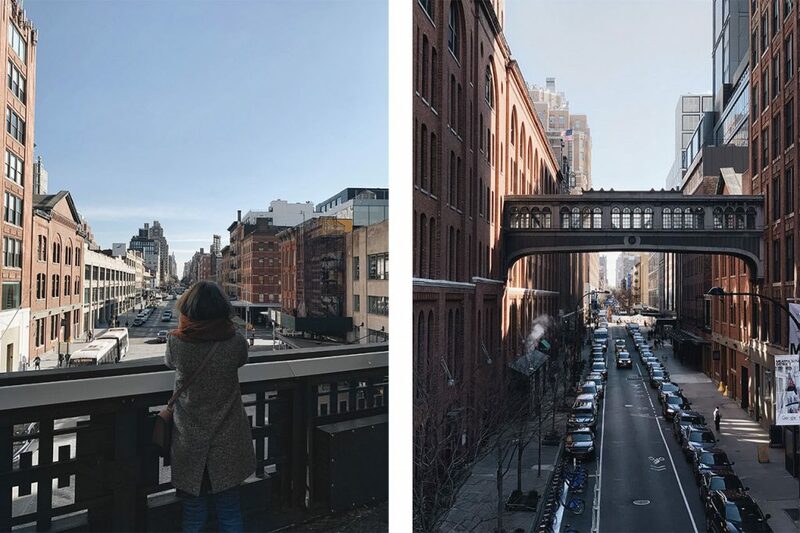 The High Line is essentially an elevated park spanning over 2 kilometres (1.45 miles), heading north from Manhattan’s Meatpacking District along the West Side. Repurposed from old train tracks that were formerly part of the New York Central Railroad, The High Line offers an opportunity to see the city from a unique perspective, and to snap some beautiful couples photos. The surrounding area is filled with an array of restaurants and nightlife, in case you’re looking for something to do before or after your romantic walk. Located in the heart of Midtown, The Skylark is a cocktail lounge that boasts stunning views of the city (including the Empire State Building). With floor-to-ceiling windows, the space can be described as timeless and classic, while the menu features plenty of seasonal bites and beverages. This is the perfect spot to grab a drink and catch the sunset before dinner. 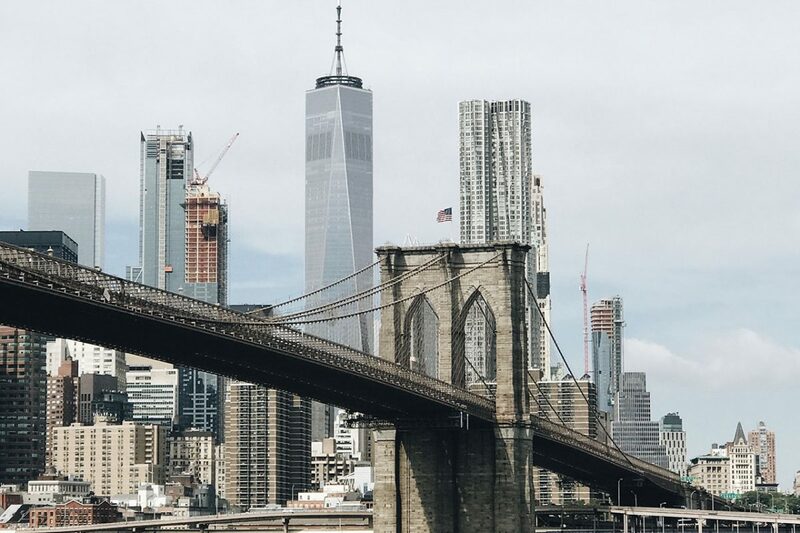 The Brooklyn Bridge is an iconic New York City landmark and a general must-see for anyone who visits. It can be a chilly walk during winter months, so bundle up, grab a hot beverage, and prepare to take in some beautiful East River views. And watch out for the cyclists! If you’re looking for a more upscale place to dine, The River Café is a fantastic option located on the Brooklyn side of the bridge. 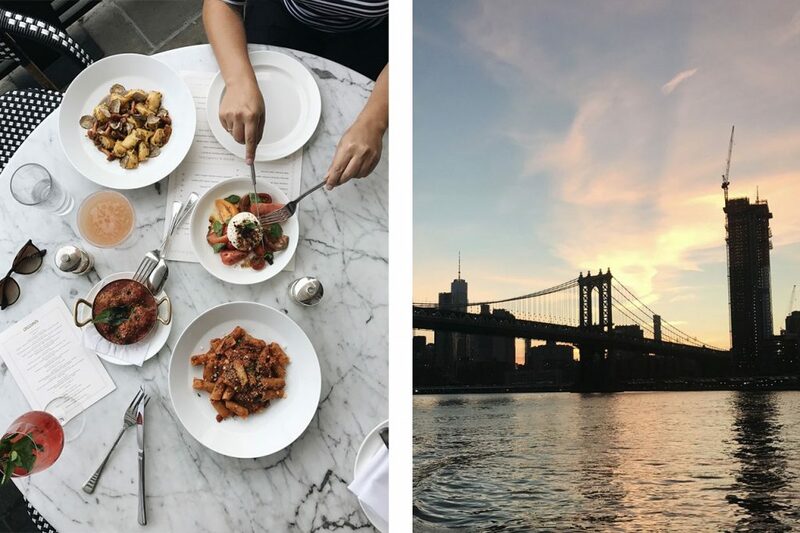 Cecconi’s is located in the beautiful Dumbo neighbourhood (which stands for Down Under the Manhattan Bridge Overpass) in Brooklyn, and offers contemporary Italian cuisine complemented by waterfront views of the Manhattan skyline. Their handmade pasta steals the show, while the elegant interior makes it an ideal spot for a romantic evening with your partner. See how Burlington, Vermont, is a locavore’s paradise.